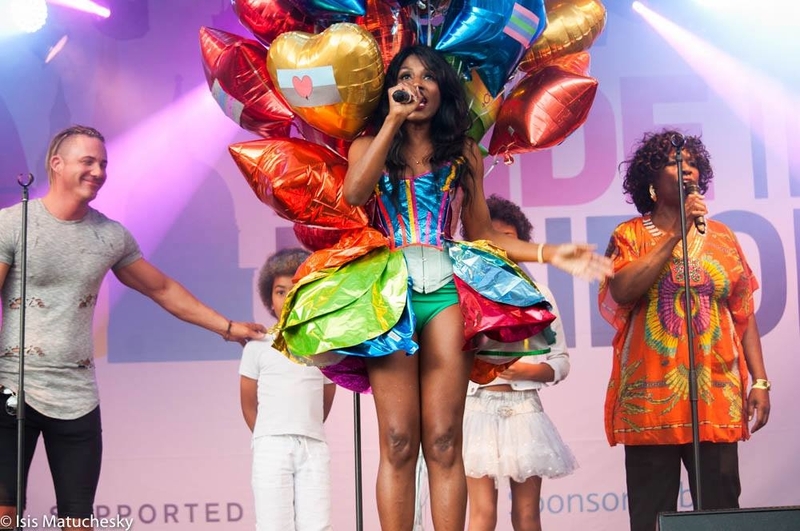 Once again Sinitta had the joy to be part of PRIDE IN LONDON 2016. Once again Sinitta had the joy to be part of PRIDE IN LONDON 2016. This year not only as a performer but also as the godmother. Her dress was created specifically for the occasion, entirely made of recycled foil balloons. Well obviously apart from the corset which was presenting a 20” waist! Thankfully she was able to be released from it after all. You can check the whole PRIDE IN LONDON 2016 on London Live website. She was on the main stage at Trafalgar Square performing Love And Affection. Familly and friends followed her at the stage to perform side by side with her, sending this message of love and respect through London.